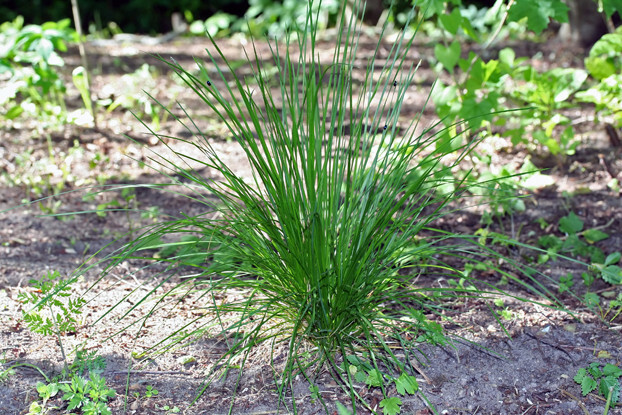 Tufted hairgrass is a cool-season perennial bunchgrass that can be found throughout the U.S. in damp, wooded areas and along stream banks. Its semi-evergreen foliage and yellow hair-like seed heads make it a great addition to any ornamental garden, or even as a low-maintenance alternative lawn. It prefers moist, rich soils and partial shade. Its flower heads can grow up to three feet tall and last into the winter, providing aesthetic value to the snow-covered landscape. Can be grown without irrigation in areas receiving at least 14 inches of annual precipitation.